Company will carefully monitor results as they release the update in phases. The recent Windows 10 October update was, to put it mildly, bumpy for some. After some users reported losing files after installing the update, Microsoft put the rollout on hold until they could investigate the problem. Thankfully, as of yesterday, Microsoft has completed its investigation and will continuing rolling out the update, which includes full support for DirectX Raytracing (DXR). The issues that were fixed are covered in detail in a prior announcement, including issues with Known Folder Redirection (KFR). In yesterday’s announcement, Microsoft mentioned that it would be taking a more measured approach to this rollout. In other words, little by little. The update will first be available to media and advanced users who manually check for updates, and after monitoring the rollout for those users, it will become available in phases to the remaining Windows 10 users. Commercial users also have immediate access to the October update re-release as of yesterday. 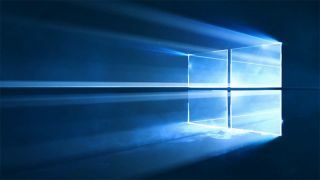 Microsoft plans to add a Windows update status dashboard next year so users can get timely information on update blocks. So, until the update finally makes its way around to your system, remember to backup your files. If you discover you are still having issues, you can contact Microsoft directly to get some help, or provide feedback on Microsoft’s updated feedback hub.